This document specifies requirements for indirect investigations of soil by standard penetration test as part of geotechnical investigation and testing according to EN 1997-1 and EN 1997-2 to compliment direct investigations. The standard penetration test aims to determine the resistance of soils at the base of a borehole to the dynamic penetration of a split barrel sampler and the recovering of disturbed samples for identification purposes (SPT). In gravelly soils and in soft rocks a solid cone is also be used (SPT(C)). This document (EN ISO 22476-3:2005) has been prepared by Technical Committee CEN/TC 341 "Geotechnical investigation and testing", the secretariat of which is held by DIN, in collaboration with Technical Committee ISO/TC 182 "Geotechnics". This European Standard shall be given the status of a national standard, either by publication of an identical text or by endorsement, at the latest by July 2005, and conflicting national standards shall be withdrawn at the latest by July 2005. According to the CEN/CENELEC Internal Regulations, the national standards organizations of the following countries are bound to implement this European Standard : Austria, Belgium, Cyprus, Czech Republic, Denmark, Estonia, Finland, France, Germany, Greece, Hungary, Iceland, Ireland, Italy, Latvia, Lithuania, Luxembourg, Malta, Netherlands, Norway, Poland, Portugal, Slovakia, Slovenia, Spain, Sweden, Switzerland and United Kingdom. This document specifies requirements for indirect investigations of soil by standard penetration test as part of geotechnical investigation and testing according to EN 1997-1 and EN 1997-2 to compliment direct investigations (e.g. sampling according to prEN ISO 22475-1). The standard penetration test is used mainly to assess the strength and deformation parameters of cohesionless soils, but some valuable data may also be obtained in other soil types. The basis of the test consists in driving a sampler by dropping a hammer of 63,5 kg mass on to an anvil or drive head from a height of 760 mm. The number of blows (N) necessary to achieve a penetration of the sampler of 300 mm (after its penetration under gravity and below a seating drive) is the penetration resistance. h is the falling height of the hammer. The drilling equipment shall be capable of providing a clean hole to ensure that the penetration test is performed on essentially undisturbed soil. The area that is exposed in the base of the borehole prior to testing can influence the results and consequently the borehole diameter shall always be reported. A significant effect on the result can begin to occur when the diameter is 150 mm or more. The steel split barrel sampler shall have the dimensions indicated in Figure 1 and shall be provided with a non­return valve with sufficient clearance to permit the free flow of water or mud during driving. The inner diameter of the sampler can be up to 3 mm larger than that of the shoe to allow for a liner. In gravelly sand, a solid 60º cone instead of the standard shoe can be used. In this case the test shall be noted as SPT(C). The drive rods shall have a stiffness that prevents buckling during driving. Rods with a mass of more than 10,0 kg/m shall not be used. Only straight rods shall be used and periodic checks shall be made on site, including connections between consecutive rods. When measured over the whole length of each rod the relative deflection shall not be greater than 1 in 1 200.
a steel drive head or anvil rigidly connected to the top of the drive rods. It may be an internal part of the assembly, as with safety hammers. A device to measure mechanical or electric impulses can be placed on the system in order to count the number of the blows of hammer. The penetration length is measured either by counting on a scale on the rods or by recording sensors. In this latter case, resolution shall be less than 1/100 of the measured length. Prior to each test series, the sampler shall be checked to ensure that it is in proper condition (dimensions). The straightness of the rods shall be checked once on each new site and at least every 20 penetration tests at that site. After each test, a visual check of the straightness of the rods shall be made. At the test site, the height of fall, the friction free fall of the hammer, the proper condition of the anvil and the mechanical release devices shall be checked for satisfactory operation which is to be ensured for the whole test series. In addition, the proper functioning of the recording device shall be checked when automatic recording equipment is used. The precision of the measuring instruments - if applicable - shall be checked after any damage, overloading or repair but at least once every six months, unless the manufacturer's manual requires shorter inspection intervals. Faulty parts shall be replaced. Calibration records shall be kept together with the equipment. 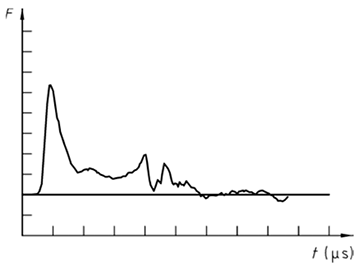 Energy losses occur e.g. 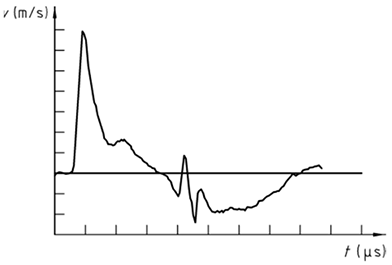 due to friction at the hammer (velocity loss compared to the free fall) or due to energy losses during the hammer impact on the anvil. Therefore, the energy ratio Er of the equipment used has to be known if the N-values are going to be used for the quantitative evaluation of foundations or for the comparisons of results. A certificate of calibration of the Er-value immediately below the driving head or anvil shall be available. NOTE A recommended method to determine the actual energy is given in Annex B. The borehole shall be prepared for the specified test depth. The base of the borehole shall be clean and essentially undisturbed at the test elevation and without an upward water pressure gradient. When drilling bits are used, they shall be provided with side discharge and not with bottom discharge, from a safe distance of the test elevation. When testing below the groundwater table, particular care shall be taken to avoid any entry of water through the bottom of the borehole, as this will tend to loosen the soil or even lead to piping. For this purpose, the level of the water or drilling fluid in the borehole shall be maintained at a sufficient level above the groundwater level in the layer with the highest pressure (potential) at all times, even during withdrawal of the boring tools. Withdrawal shall be performed slowly and with drilling tools providing enough clearance to prevent suction effects at the bottom. When a casing is used, it shall not be driven below the level at which the test will start. The sampler and the drive rods shall be lowered to the bottom of the borehole and then the hammer assembly added. The initial penetration shall be recorded. The sampler shall be penetrated over an initial or seating drive of 150 mm applying the 63,5 kg hammer free falling 760 mm and the number of blows N0 shall be recorded. Then the sampler in the same manner shall be driven over a test drive of 300 mm in at least 2 increments of 150 mm. The number of blows needed, shall be recorded during each of these increments (Nn). If a total of 50 blows for the test drive is reached, the test may be finished (N = 50); in soft rocks it can be increased to 100 blows (N = 100). The total number of blows required for the 300 mm penetration after the seating drive is termed the penetration resistance of that soil layer (N = Nn + Nn+1). In hard soils or in soft rocks where the penetration resistance is very high, the penetration for a certain number of blows may be recorded. If the sampler advances below the bottom of the borehole under the static weight of the drive rods and hammer assembly on top, the corresponding penetration shall not be included, as seating drive and this information should be reported. In no case shall any material reach the level of the non return valve. Samples recovered shall be recorded and handled in accordance with prEN ISO 22475-1. The test results shall be reported and interpreted as N or the test drive blow. The N-values can vary with test equipment and mode operation as well as geotechnical conditions (see Annex A). The corrections of Annex A shall be considered. b) record of measured values and test results. All field investigations shall be reported such that third persons are able to check and understand the results. 13) back-filling of penetration hole according to prEN ISO 22475-1, if required. f) name and signature of the field manager. The test results shall be reported about in such a fashion that third persons are able to check and understand the results. Energy losses are induced by the hammer assembly due to frictional and other parasitic effects, which cause the hammer velocity at impact to be less than the free fall velocity. Further losses of energy are originated by the impact on the anvil, depending on its mass and other characteristics. The type of machine, skill of the operator and other factors can also influence the energy delivered to the drive rods. Er is the energy ratio of the specific test equipment. If a design method for sands has been elaborated for a value of Er different from 60 %, the corresponding corrected N-value should be determined based on equation A.1. If the length of rods is less than 10 m, the correction factors shown in Table A.1 may be applied to the blow count for sands; for rod lengths greater than 10 m, no correction should be applied. a uniform diameter of 35 mm. Nevertheless, attention should be paid to the eventual damage of the liner during driving and its influence on the corresponding blow count. If the liner is omitted, the additional clearance of the inside of the barrel with reference to the shoe leads to N-values between 10 % and 20% lower in sands. The effect of the overburden pressure in the N-value in sands may be taken into account, for example, by applying to the measured N-value the correction factor CN given in Table A.2 with reference to the type of consolidation and the density index ID. 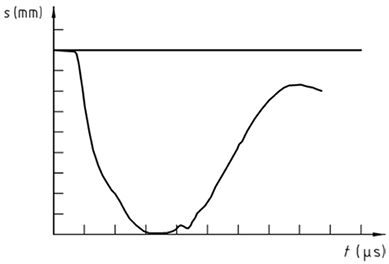 Values of the correction factor CN larger than 2,0 and preferably 1,5 should not be applied. Several correction factors have been mentioned in the previous paragraphs. As the existing design methods of foundations based on the SPT are of an empirical nature, only the corresponding correction factors should be used, unless duly justified. CN is the correction factor for vertical stress due to overburden of the soil in sand. 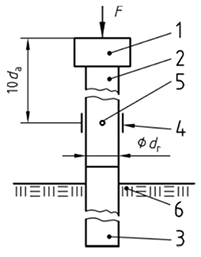 The measurement of the energy transmitted to the drive rods can be made by means of an instrumented section of rod positioned at a distance greater than 10 times the rod diameter below the point of hammer impact on the anvil (see Figure B.1). For additional information see  to  of the bibliography. data processing system (data logger and computer). When strain gauges are used for the measurement of the axial deformation, they should be uniformly distributed around the instrumented rod. At each impact, check the correct operation of the measuring equipment and the sensors by displaying the results of measurements. 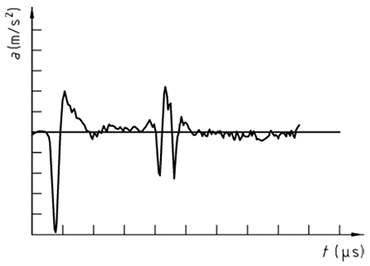 It should be verified that the signals from the accelerometers and of the gauges are null before and after the impact. For the measurement of the acceleration and deformation, the precision should be better than 2 % of the measured value. Еa is the Young's modulus of the instrumented rod. B.4.2 The particle velocity v(t) of the measurement section is calculated by the integration of the acceleration a(t) with respect to time t.
E(t') is the driving energy which passes into the instrumented drive rod up to time t' after the impact. Various methods for developing the above equation and additional information can be found in the bibliography. ASTM D 4633-86: Standard test method for stress wave energy measurements for dynamic penetrometer testing systems. American Society for Testing and Materials, Philadelphia 1986. Butler, J.J., Caliendo, J.A., Goble, G.G. : Comparison of SPT energy measurements methods. Proc. 1 st Int. Conf. on Site Characterization, Atlanta 1998, Vol. 2, 901-905. Farrar, J.A. 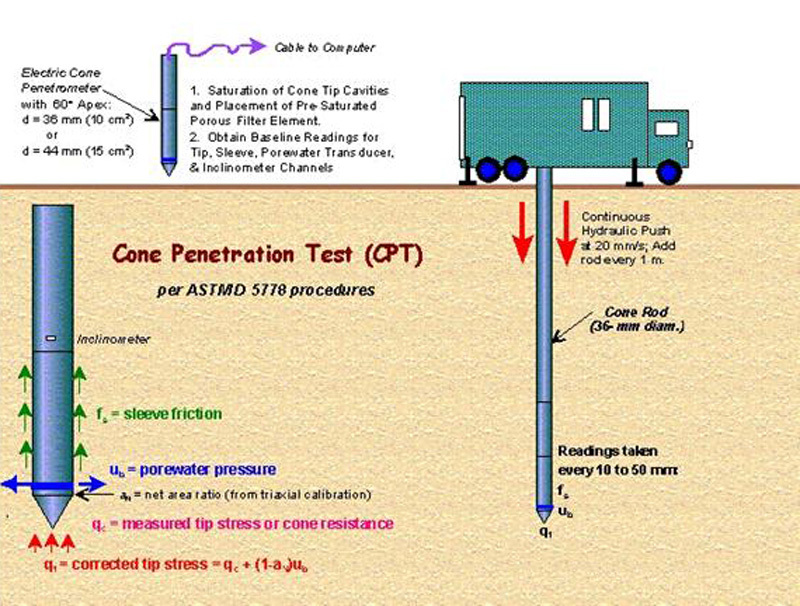 : Summary of Standard Penetration Test (SPT) energy measurements experience. Proc. 1st Int. Conf. on Site Characterization, Atlanta 1998, Vol. 2, 919-926. Gonin, H.: Du Pénétromètre dynamique аu battage des pieux. - Revue Française de Géotéchnique No 76, 1996. Gonin, H.: La formule des Holiandais ou le conformisme dans I'enseignement. Revue Française de Géotéchnique No 87,1999. Matsumoto, T; Sekeguchi, H., Yoshida, H. & Kita, K.: Significance of two-point strain measurements in SPT. - Soils and Foundations, JSSMFE, Vol. 32, 1992, No 2, pp. 67-82. EN 1997-1, Eurocode 7: Geotechnical design — Part 1: General rules. EN 1997-2, Eurocode 7: Geotechnical design — Part 2: Ground investigation and testing.